This policy refers to personal data, which is defined as information concerning any living person (a natural person who hereafter will be called the Data Subject) that is not already in the public domain. The General Data Protection Regulation (GDPR) seeks to protect and enhance the rights of data subjects. These rights cover the safeguarding of personal data, protection against the unlawful processing of personal data and the unrestricted movement of personal data within the EU. It should be noted that GDPR does not apply to information already in the public domain. 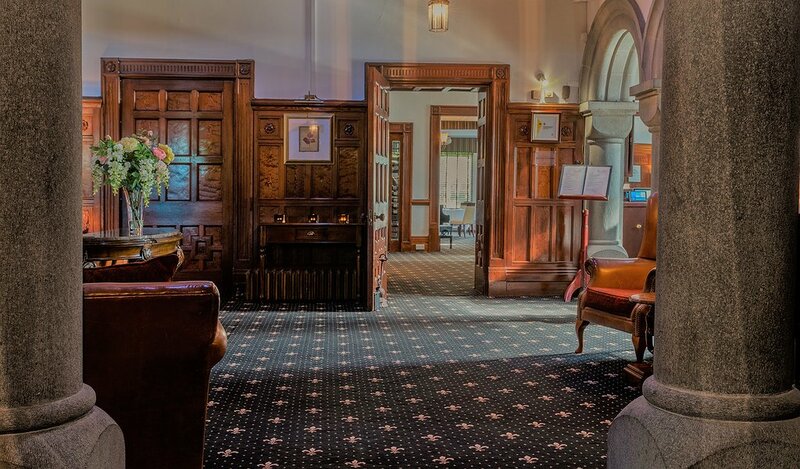 Bron Eifion Hotel (JLM Leisure Limited) uses the information collected from you to provide quotations, to make telephone contact and to email you marketing information which we believe may be of interest to you and your business. In you making initial consent to marketing contact from Bron Eifion Hotel (JLM Leisure Limited) we shall maintain a marketing dialogue with you until you either opt out (which you can do at any stage) or we decide to desist in promoting our services. Some personal data may be collected about you from the forms and surveys you complete, from records of our correspondence and phone calls and details of your visits to our website, including but not limited to personally identifying information like Internet Protocol (IP) addresses. We may from time to time use such information to collect statistics about the behaviour of visitors to our website. We use traffic log cookies to identify which pages are being used. This helps us analyse data about webpage traffic and improve our website in order to tailor it to customer needs. We only use this information for statis-tical analysis purposes and then the data is removed from the system. You can choose to accept or decline cookies. Most web browsers automatically accept cookies, but you can usually modify your browser setting to decline cookies if you prefer. This may prevent you from taking full ad-vantage of the website. Any information Bron Eifion Hotel (JLM Leisure Limited) holds about you and your business encompasses all the details we hold about you and any sales transactions including any third-party information we have obtained about you from public sources and our own suppliers such as credit referencing agencies. We will only collect the information needed so that it can provide you with marketing and consulting services, we do not sell or broker your data. Through agreeing to this privacy notice you are consenting to Bron Eifion Hotel (JLM Leisure Limited) processing your personal data for the purposes outlined. You can withdraw consent at any time by emailing enquiries@broneifion.co.uk or writing to us, see last section for full contact details. Bron Eifion Hotel (JLM Leisure Limited) may on occasions pass your Personal Information to third parties exclusively to process work on its behalf. Bron Eifion Hotel (JLM Leisure Limited) requires these parties to agree to process this information based on our instructions and requirements consistent with this Privacy Notice and GDPR. We do not broker or pass on information gained from your engagement with us without your consent. However, we may disclose your Personal Information to meet legal obligations, regulations or valid governmental request. We may also enforce our Terms and Conditions, including investigating potential violations of our Terms and Conditions to detect, prevent or mitigate fraud or security or technical issues; or to protect against imminent harm to the rights, property or safety of Bron Eifion Hotel (JLM Leisure Limited), our clients and/or the wider community. We will process personal data during the duration of any contract and will continue to store only the personal data needed for five years after the contract has expired to meet any legal obligations. After five years any personal data not needed, will be deleted. Data is held in The United Kingdom using different (multiple) servers. Bron Eifion Hotel (JLM Leisure Limited) does not store personal data outside the EEA. In the event that Bron Eifion Hotel (JLM Leisure Limited) refuses your request under rights of access we will provide you with a reason as to why, which you have the right to legally challenge. If the processing is based on the legitimate interests of Bron Eifion Hotel (JLM Leisure Limited) or a third party such as one of its clients, information about those interests. To access what personal data is held, identification will be required. Bron Eifion Hotel (JLM Leisure Limited) will accept the following forms of ID when information on your personal data is requested: a copy of your national ID card, driving license, passport, birth certificate and a utility bill not older than three months. A minimum of one piece of photographic ID listed above and a supporting document is required. If Bron Eifion Hotel (JLM Leisure Limited) is dissatisfied with the quality, further information may be sought before personal data can be released. All requests should be made to enquiries@broneifion.co.uk or by phoning 01766 522385 or writing to us at the address further below.